Tired of paying rent? How about owning your own unit? Located in Strattman St we have 4 Units FOR SALE, within walking distance to town. Brand spanking new, very spacious and well appointed. * Two bed rooms with built ins. 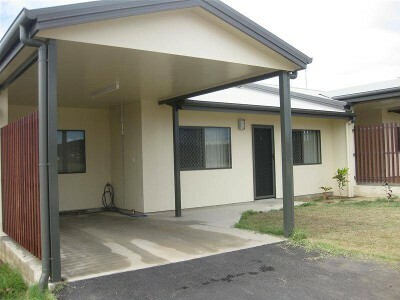 * Carport * Spacious kitchen * Large lounge area * Ready to move into * Great investment Inspections are invited. Call Debbie 0409 321 920 Or 40 922 111.!! "The sustainability declaration for this property is available from the Office upon request"